'Uh-oh! 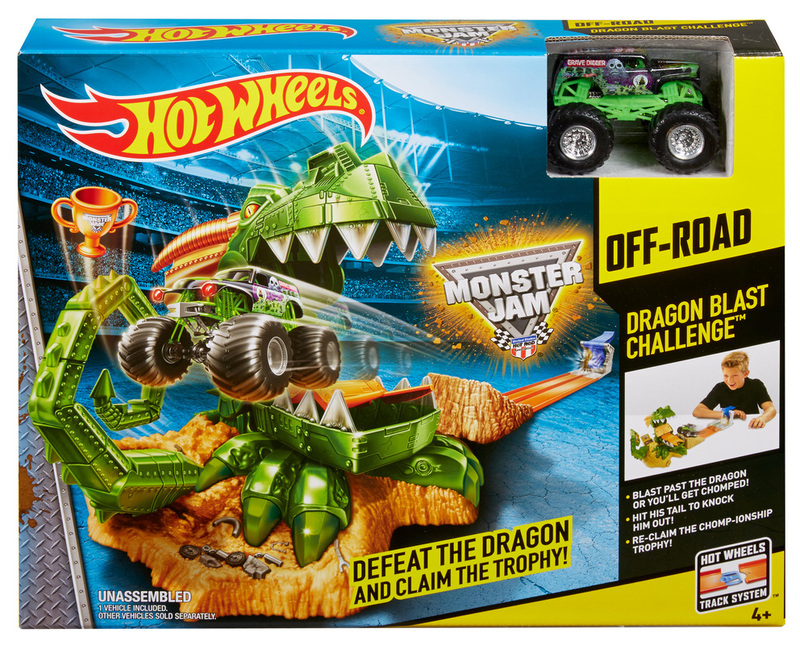 The Monster Jam Dragon Truck has stolen the championship trophy and stashed it away in its secret lair within the arena. 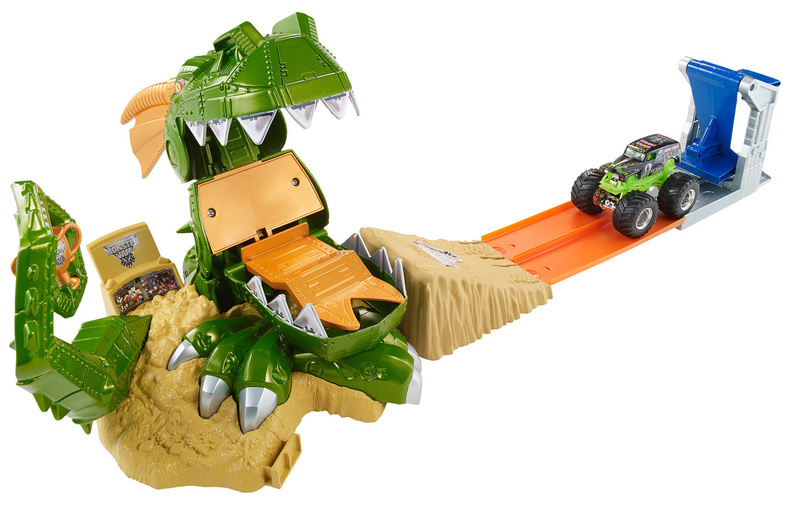 It’s going to take real skill to take down this medieval menace and become the ultimate chomp-ion! 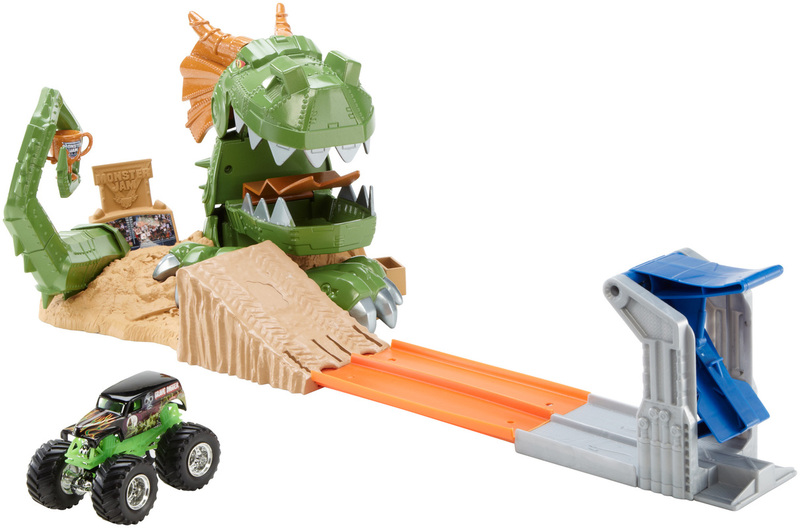 Use the kid-activated slam-blast launcher to send your Monster Jam truck hurtling down the track and past the dragon’s snapping jaws to stop his assault. 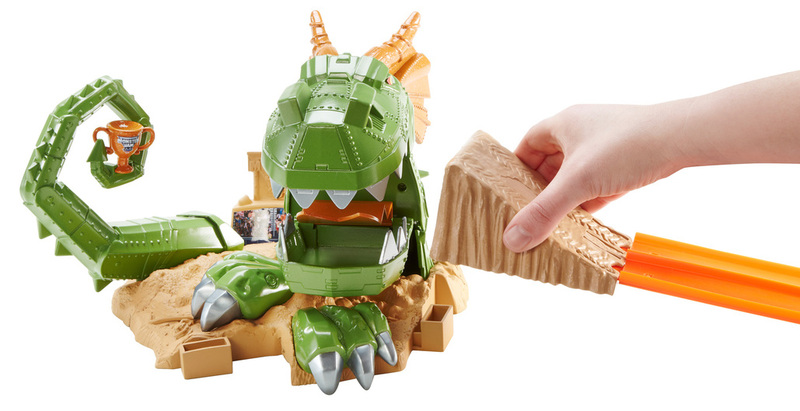 Hit the tail to blast him apart and claim the trophy—but watch out for those chomping jaws! One wrong move and you’ll be his next meal! 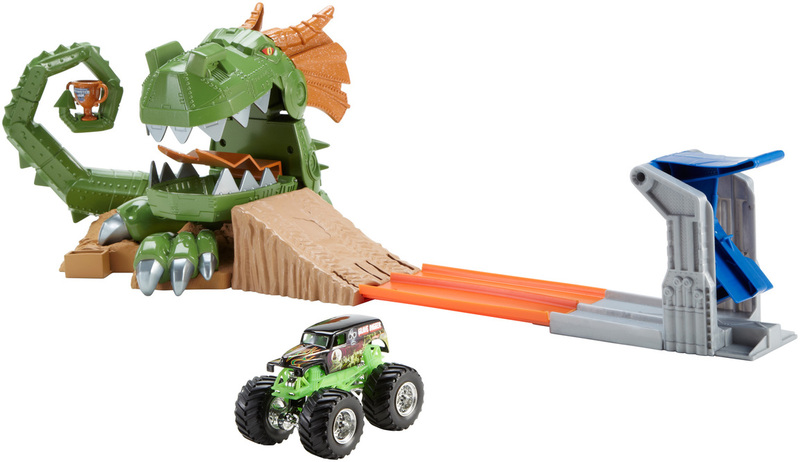 For more action, the launcher attaches to multiple locations on the set. 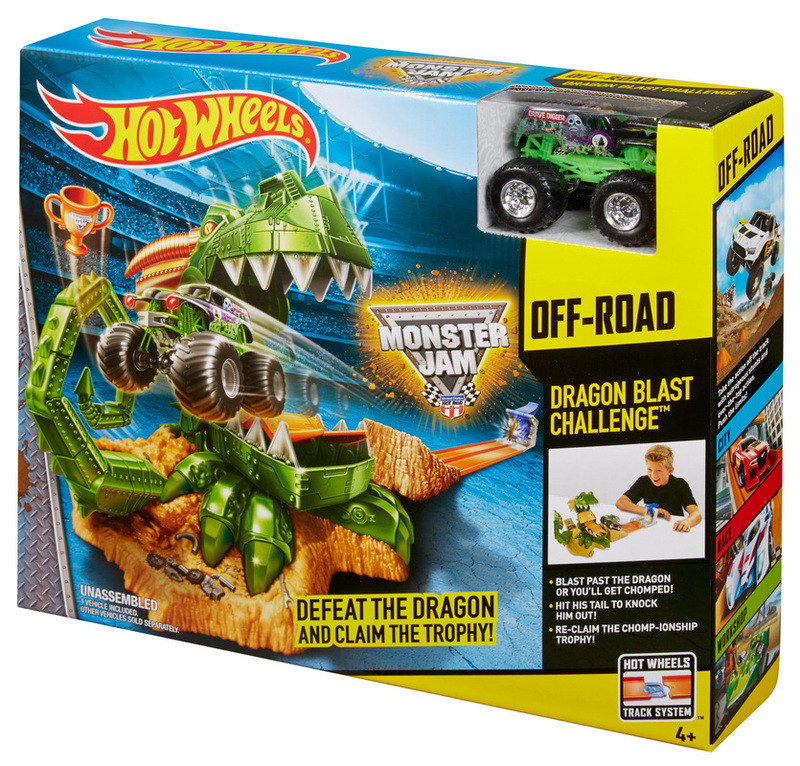 Includes one 1:64-scale Monster Jam Grave Digger truck. Each sold separately, subject to availability. 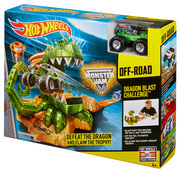 Ages 4 and older.